Though the year has been in all way not favourable for the tourism industry in Kerala, the state has registered marginal growth in both international and domestic tourist arrivals last year. 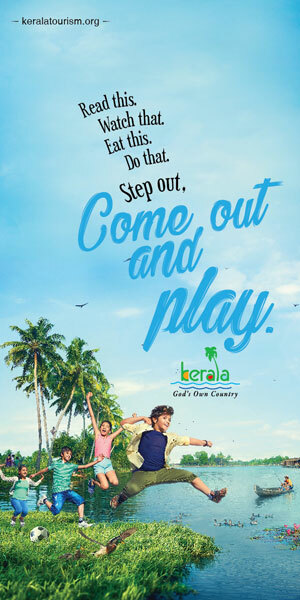 Kerala Tourism is going ahead with its marketing and promotional initiatives both in the domestic and international markets to lure more tourists into the God’s Own Country. The state has set a target to double foreign tourist visits from the current 10 lakh a year to 20 lakh a year by 2020. It also has plans to grow the domestic tourist visits by at least 50 per cent in the next two years. “There was a sharp fall in tourist arrivals between August and October. However, from November onwards tourism bounced back, and the tourist arrivals in November 2018 exceeded the numbers of the same month in 2017,” said B S Biju, Tourist Information Officer. He was talking on the sidelines of Kerala Tourism road show in Delhi. Statistics show that Kerala has welcomed some 9 lakh foreign tourists between January and November 2018. The tourism department’s strategy is to target source markets by segmenting them into core markets and promising markets and formalise marketing and promotion strategies based on the requirements of the markets. The core markets are UK, USA, France, countries in the Middle East and the promising markets are Malaysia, China, Japan, and Australia. “The strategy is to conduct partnership meets, participate in travel fairs, etc. aggressively in these markets,” said Biju. The Tourist Information Officer feels that the newly opened Kannur International Airport will definitely give a fillip to the untapped tourism potential of Northern Kerala.